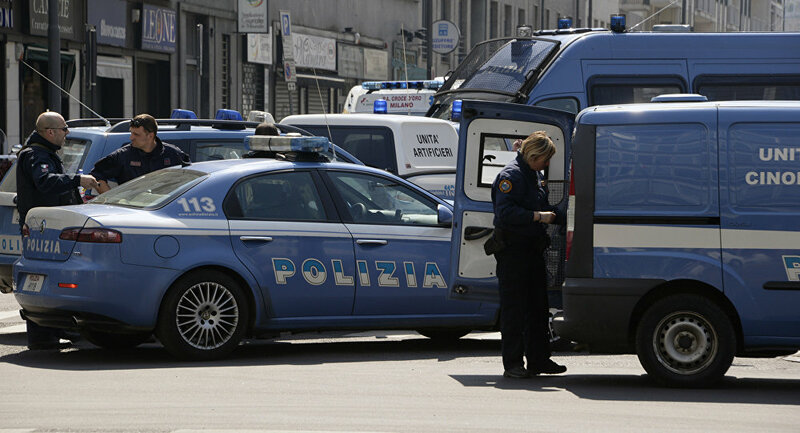 On December 4, Mafia boss Settimino Mineo and at least 45 other suspects were arrested in Italy in a major swoop against a resurgent Cosa Nostra. How will the arrest of Mineo affect Cosa Nostra? Dr. Anna Sergi, Senior Lecturer in Criminology at the University of Essex sat down to answer this and other questions with Sputnik. Sputnik: How will the arrest of Mineo affect Cosa Nostra, as the criminal organisation will now be lacking leadership? Dr. Sergi: Settimo Mineo was considered the heir of Totò Riina. Totò Riina was the former boss of Cosa Nostra, the last one we know of that has been elected officially by the Cosa Nostra commission. When he died in 2017, everyone kept looking at what was happening in the rankings of Cosa Nostra. So, apparently, what happened was that the person who was elected, Settimo Mineo, who was supposedly taking over from Totò Riina, was essentially selected because he was the oldest one having a certain ranking — and not because he was the best one necessarily. 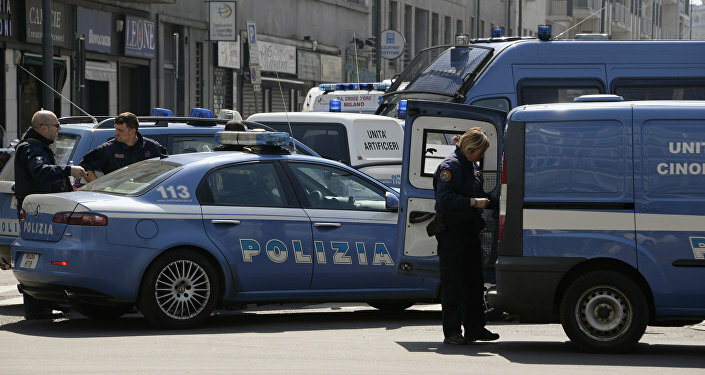 His arrest at the moment essentially signifies that not only law enforcement has been onto the group as they always have been, but also that the new strategy that Cosa Nostra is willing to pursue might not be necessarily the best one to the group around more traditional values, such as electing the oldest one. Sputnik: What does the arrest mean for the crackdown on the Mafia's activities? Dr. Sergi: It means that it is not true what we heard for the past 20 years, that Cosa Nostra has lost power, that Cosa Nostra is somehow submerged and that Cosa Nostra is somehow dead. It's impossible for a social phenomenon of the size of Cosa Nostra to be ever become extinct. So the constant attention of police and law enforcement on the anti-mafia side in Sicily has shown exactly that not only the phenomenon is not extinct, but that we need to be more careful than ever in the way it's changing and adapting. Maybe we assume that things are not as they used to be, because we don't see them in the same shape as they used to be, but that doesn't mean that there isn't a new shape of things — and this shape might be more successful and less visible. So this has shown that the fight against the Mafia, especially Cosa Nostra, is definitely not over. Sputnik: How did the organised crime group evolve throughout the decades? Dr. Sergi: The history of all Mafias in the South of Italy, not just Cosa Nostra or the other ones, has to do with the change of social factors and social conditions, including the rezoning of lands and the birth of private property in the way that we know today. Obviously each region in the South of Italy has specific reasons for why certain groups have emerged. Mafia organisations, before becoming organisations, they're all social behaviours, behaviours that society knows of without them necessarily having a criminal side. What I mean is that Mafia, especially in Sicily, has come from very rich families and very rich elites that really wanted to keep their privilege intact, and therefore use their power and wealth to intimidate and fight competition in order to maintain their slice of the cake bigger. What this essentially meant is that this kind of behaviour became an organisation in a way that is clear and visible throughout all of the last century, up to the point in which this behaviour became the rule of the game for the organisation, whether the organisation was the Sicilian Mafia or the Calabrian Mafia or any other Mafia in the South of Italy. It eventually became a hostile type of behaviour towards the legality that had been established at least formally everywhere. Sputnik: How is Cosa Nostra connected to Sicily? Dr. Sergi: The history of Cosa Nostra is the history of Sicily, unfortunately, in many cases. A history of migration, a history of forgetfulness of the Italian State in terms of certain needs that specifically the island of Sicily has; and obviously Mafia powers are always one step in, one step out. They lead in the territories they govern by providing these territories with things that people perceive that the State is not giving them, but at the same time they are parasites: they feed off people's lives, and they prey on people's weaknesses and the structural weaknesses of the general governing bodies. SPUTNIK: Have Cosa Nostra and the Mafia as a whole reached their final stage of power and influence in Italy? Dr. Sergi: Yes and no. In a way, we have seen such success from law enforcement, especially in the Southern regions, and a growing attention in the rest of the country — Mafias are not just a problem of the South, they are everywhere in Italy at the moment, and not just in Italy. We have seen the highest level of sophistication we could have ever imagined — infiltration in politics has been high, and that is the sign of a very sophisticated group. The clean face of organised crime groups has reached levels that shouldn't have been reached. But at the same time, if you go to the typical areas where Mafia power has always been pervasive, you see wastelands. Calabria at the moment is constantly affected by very effective actions by law enforcement, which means that this impacts the region as a whole. On one side you fight the Mafias, on the other you leave them with nothing else to feed upon. So on one side we have a very powerful Mafia group that has expanded way beyond their territory of origin, spread out to the rest of Italy, and infiltrated every type of market. But on the other side the anti-Mafia has grown with them, and the anti-Mafia action at the moment is severely impacting both on the organisations and their territory. I am not optimistic at all: I don't think Mafia power can become extinct because it's not an organisation that you have to fight against, it's a type of behaviour. And this type of behaviour is not just Italian, it's not just Southern-Italian. It's just a behaviour of intimidation and fear and subjection to higher power that we have everywhere.